Review and information about NOKIA 5.1 PLUS (NOKIA X5) which are already available in the market start at July 2018. This is Android One version smartphone with 5.86 inches LCD screen size and also have notch at the top screen to use for front selfie camera place. Please note, we are not saying that NOKIA 5.1 PLUS (NOKIA X5) totally bad, but at this page we will give some information from our point of view. If you have more, please use comment are bellow to share with others. Yes this phone have Norch at the top of the screen. We can see inside notch front camera and speaker. Overall the screen size is 5.86 inches using 720 x 1520 pixels and also new 19:9 aspect ratio. With this size, we will feel more easy to hold this phone with bigger LCD size. The LCD screen use IPS. Some users still give scratch resistance such as thin film or tempered glass to give more protections from the scratch for daily activity. At front panel, we will not find any hardware button, all navigation buttons are floating in the screen. At left side of the body, there are no button as well. Volume and power button located at right side of the body. At back side body, we will find dual camera and flash which are located vertically with fingerprint sensor in the middle top. Overall the body use good plastic product. The processor of NOKIA 5.1 PLUS (NOKIA X5) use Mediatek MT6771 Helio P60. This processor already have NeuroPilot AI technology which can run smartly for some applications and features. P60 also have good battery power saving result (better battery life), because it is use 12nm FinFET technology. If compare with Mediatek Helio P30 vs Helio P60, then P60 will have 70% more for overall performance and also better Mali-G72 MP3 GPU for 3D HD rendering. NOKIA 5.1 PLUS (NOKIA X5) battery capacity is 3060 mAh, good for full day activity because it use better processor with 12nm FinFET technology. The disadvantages of battery is not removable, therefore we have to bring this phone to Nokia authorized service center for replacing the battery when broken or corrupt. NOKIA 5.1 PLUS (NOKIA X5) is also available for Android One project, therefore we can find the operating system with Android One Oreo native from Google without bloatware. This phone will get major firmware upgrade from Google once Android P release in the market. There are two options fro internal memory, 64 GB ROM with 4 GB RAM or 32 GB ROM with 3 GB RAM. Drawbacks of NOKIA 5.1 PLUS (NOKIA X5) does not have dedicated external memory. We have to replace sim 2 network card with external memory MicroSD because the simcard slot 2 is hybrid. Main camera at back side of the body use 13 megapixel + 5 megapixel for DOF effect, the aperture number is f/2.0. The front camera is 8 megapixel using aperture number f/2.2, this is also demerits thing, because having more bigger aperture number is better for example at least f/2.0 like rear camera. Weakness of front camera does not have LED flash light, therefore we have to use screen light when taking photos at low light situations. 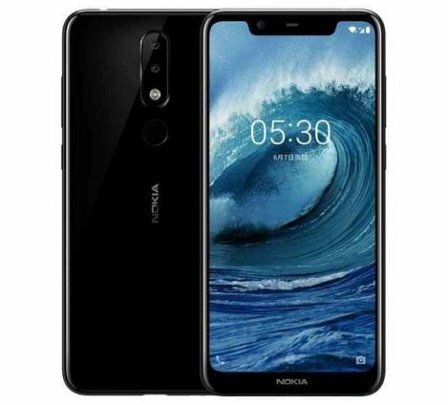 Is NOKIA 5.1 PLUS (NOKIA X5) Worth To Buy ? If we like to have Android One smartphone, then NOKIA 5.1 PLUS (NOKIA X5) is worth to buy, because it have good performance using Helio P60 processor and also sufficient internal memory whether 64 GB or 32 GB RAM. If we have budget, then buying 64 GB internal memory with 4 GB RAM is recommended. Overall this mid end smartphone price is cheap as well. This article is talking about nokia 5 1 plus pros and cons, nokia x5 pros and cons, Nokia 5 1 pros and cons, Nokia 5 1 Plus (Nokia X5) pros and cons, nokia 5 1 plus disadvantage, nokia x5 adv and disadv. You can find other topic at our related post bellow.